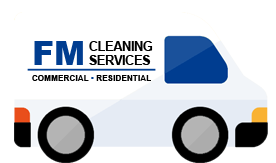 Interested in working at FM Cleaning? Complete this application and someone will contact you. I understand that a consumer credit report or criminal records check may be necessary prior to my employment. If such reports are required, I understand that, in compliance with federal law, the company will provide me with a written notice regarding the use of these reports and will also obtain a separate written authorization form me to consent to these reports. I also understand that a poor credit history or conviction will not automatically result in disqualification from employment."